A side story that reveals the investigative notes that Atsuko, the younger sister of the main character Akihiko Chuzenji, wrote about the brutal dismembering incidents in the main story. This episode, you could say, is almost like a summary, which is why I gave an 'Overall' of 9. You'll understand why in a minute. Due to the complexity of the main anime, and the murders as well as the 'supernatural perspective' in it, it was quite hard to comprehend what was going on at the beginning. However, at the end I'd say I understood 80% of what had happened as everything was revealed then. But what about the remaining 20% which most of the watchers, including me, couldn't comprehend or had failed to remember? Well that's when this Special works its magic on us. 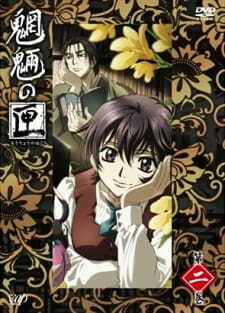 It basically retells the events that took place in the story from the perspective of Atsuko, the younger sister of the talkative priest Akihiko Chuzenji, who is seen in one of the earlier episodes - this was a strength to the Special as they reused a very minor character so that we at least have a connection to them, a contrast to a few other anime in which random, unknown characters are used to do this. Furthermore, the Special has a story in itself which links to the telling of the murders that took place, which doesn't make it a pure summary - I found this interesting as I could then not doze off but instead I was interested in it. The Special also made it so that the episode itself was centred around Atsuko's perspective from day 1, during the time when the murders were happening, and ended itself a year later or so after the case was solved - this was indeed a great element to it because the Special doesn't take place 'after' the anime's story takes place, but during, which made it all the more realistic and not just 'forced'. In addition, they include one of the scenes from the earlier episode in the main anime where Atsuko was in just to mix it in to make it seem more natural and to also remind us of who she is. I also loved how they reused the soundtracks and characters, it was almost nostalgic. So to conclude, definitely watch this as I rated it a 9 for 'Overall' for a reason, which was explained.